This weekend I had the honor of receiving a blogger award. I have seen some of these previously, and although they are the blogger equivalent of a chain letter, it is still always an honor to be recognized by your fellow bloggers. 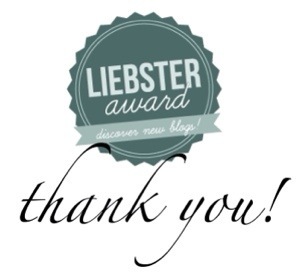 This time around it is an award I have not heard of previuosly called the Liebster award, and I am given this award by LozMatik over at Finding Truth. Thanks LozMatik! This award. like the others, ask that you pass the award on to ten other bloggers and that they in turn do the same, and of course mention you. You also need to answer ten questions from your awarder and in turn, ask ten questions of your awardees. So first off, I want to pass this award onto the following blogs. It’s not quite ten blogs, but these I think are deserving of special mention, and I follow them. Living Life On O2 For Life – This is a blog about daily life while living on oxygen for pulmonary hypertension. It’s a very inspiring blog, even if you don’t have a chronic disease. 2. Who do you write for? Yourself or an audience or both? It has helped me to see things more positively, to find the good in everything, even when it seems the whole world is falling down around me. 4. Do you believe purpose is given or made? 6. If you could travel anywhere, where would it be? 7. What is your favorite film? Love Actually. Yep, I am a guy that loves romantic comedies. 9. A perfect world to you is…? A day with no wars, no disease, no pain. 10. What advice would you give to others bloggers? And those same ten questions I also ask of my awardees. I think they were good ones! Previous Post Want To Be Happy? Be Grateful! You are welcome. I really enjoy your posts. Love your post. Thank you for the nomination. I wish you a peaceful and blessed weekend.